1. No Spam - Spam is defined as blatant self-promotion, or sometimes simply mindless posting. It is best phrased as "Stupid Pointless Annoying Messages." It can also be seen as advertising for a major website in order to get profits from said website. Multiple posts of the same subject to clutter the forum, posts with no relevance to any subjects dealt with on the forum, or posts devoted purely to promoting one's own work will be deleted, and the user will be given a Warning or a Ban, depending on the severity of the offence. 2. No Flaming - Flaming is defined as personal attacks or insults on another person regarding the persons religion/views/knowledge etc. Though we encourage healthy discussion and debate, a certain point comes in which an insult turns personal, and this is strongly discouraged. Reports of such abuse will usually result in a warning; multiple abuses will result in a Ban. 3. No Spoilers - Spoilers are bits of story information that a user will not know. After a time, Spoilers become known as "common knowledge," and it is therefore alright to post about them. A spoiler must always be marked with a spoiler tag clearly. 4. Signature/Avatars - Signature are the personalised attachments placed at the bottom of peoples' posts, and Avatars are the pictures which appear under peoples' usernames. It is common practise for people to have graphics in the signatures ("sigs"), and this is perfectly acceptable as long as they don't contain anything sexually explicit, inappropriate or distasteful, as deemed by the staff forum. Violation will result in staff removing signature and the member shall receive a warning. 5. No Insubordination - Insubordination is simply not listening to the ruling of a Mod or Admin. Disregarded what we tell you to do is against the rules and will usually result in a Ban. 6. 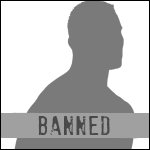 No Ban Contesting - Though we like to have an open dialogue with our users, a ban will stay a ban. Please do not log on under a different account or send an e-mail to ask why you have been banned. If you are unable to realize why you were banned, your lack of understanding of the Rules is probably the reason itself. If you logon under a different account somehow after a banning, you will once again be Banned.